Santa's frustrated. It's December 24th and he wants to complete his deliveries. However, when he tries to look in windows to see if Susie and Johnny are fast asleep, he can't tell. The obscure nature of the acrylic block and decorative glass in homes with Hy-Lite privacy windows are blocking Santa's view! 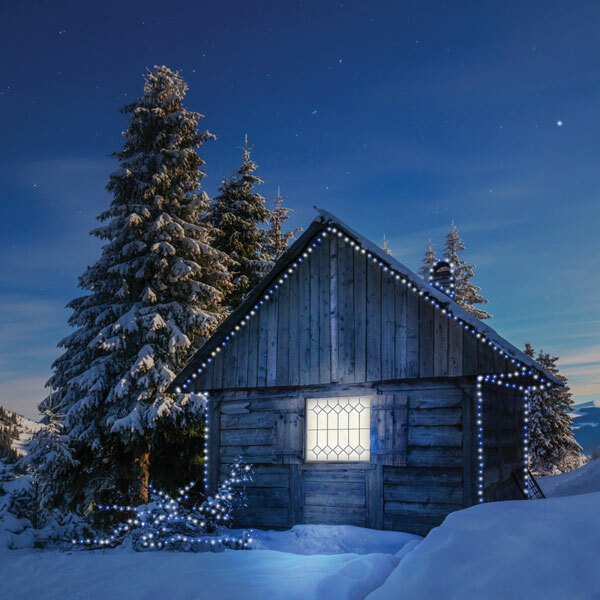 "We never intended our windows to be 'Santa-proof' ... just to provide privacy and style for homeowners," says Laura Sikes, marketing manager at Hy-Lite, a U.S. Block Windows Company. "Our acrylic block and decorative glass windows are designed to prevent too-close-for-comfort neighbors from looking into the home. They're used as a perfect accent in bathrooms, kitchens, dining rooms, and yes, even in bedrooms!" Sikes encourages homeowners with Hy-Lite operable windows to perhaps leave them open just a bit for Santa to peek inside to see if the children are sleeping. "Fortunately we have operable casement, awning and slider privacy windows that allows for airflow into the home," says Sikes. "For parents with these windows, they have the ability to allow the windows to be opened for Santa to sneak a glance inside."